Headquartered in Park Royal, London, European Glass Group is the largest independent glass processor in the UK and Ireland with production in four facilities, including two in London, and sites at Swindon and Manchester. The lofty goals that European Glass Group of the UK set for itself in early December 2014 are now starting to become a reality. It was then that the company signed the agreement to invest in two Glaston FC500 tempering furnaces, one of which represents the largest sold worldwide to date. 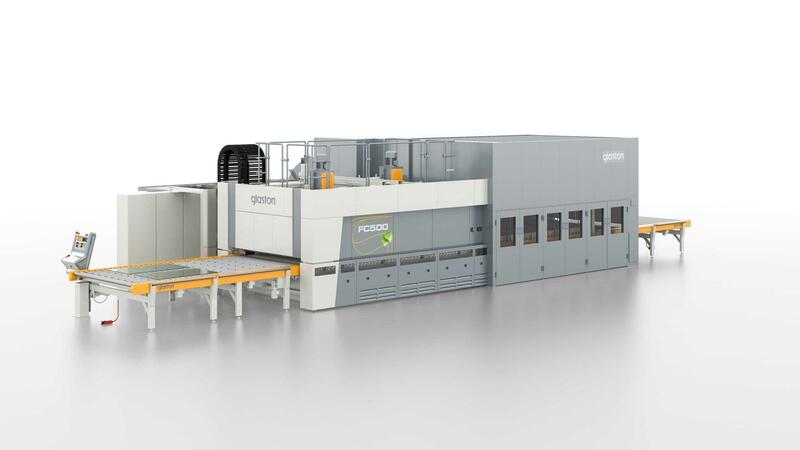 In just over six months, European Glass is breaking records in the UK with its first Glaston FC500 3300 x 6000 furnace that has begun production at its Cumberland Avenue facility in London. The largest FC500 3300 x 8400 furnace arrived to the company’s other London location in Abbey Point at the end of September 2015. The line enables European to manufacture the largest single sheets of toughened glass in the UK, with sizes up to 3300 mm wide by 8400 mm long in both clear and high-performance products. Perhaps even more important is the reduction in the time, labor and energy costs involved in processing the typical partition size panels that make up the core of their business. With typically up to nine panels per bed, orders that took days can now take hours.